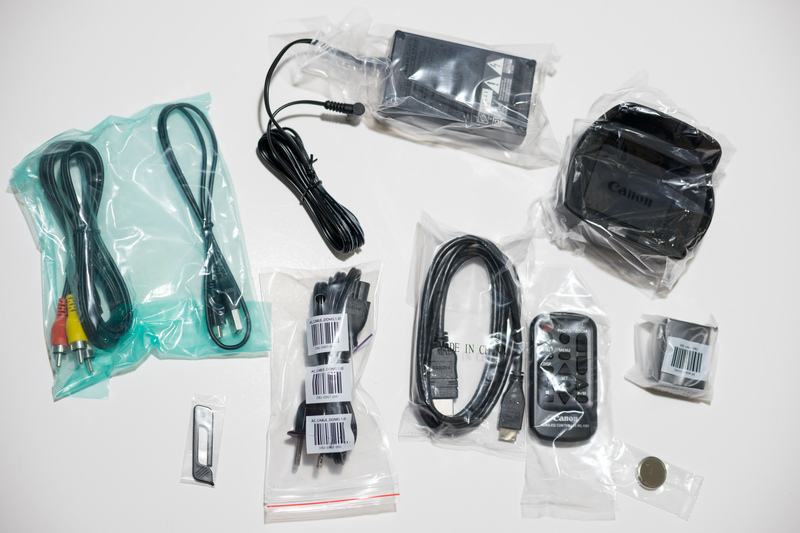 Take a glance of the accessories of the Canon iVIS HF G20. 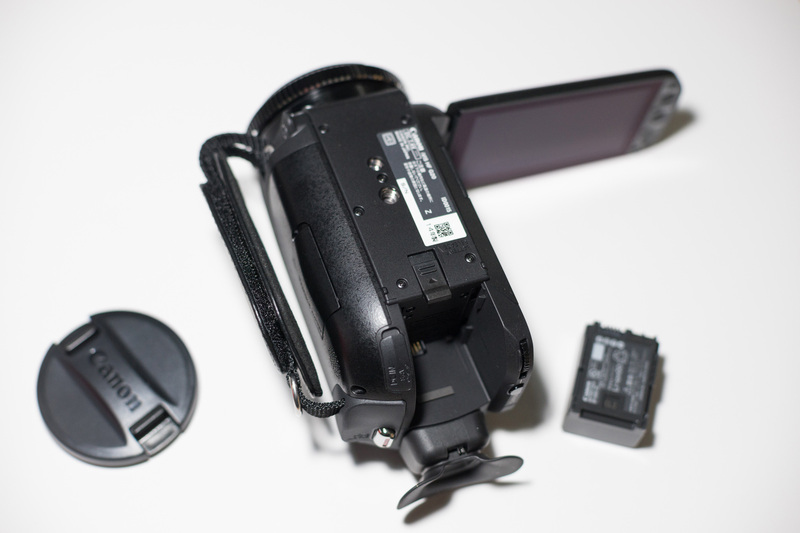 Quite generous of Canon that gives a big lens cap with a flippy door, a remote controller only a few people will use, HDMI-MiniHDMI cable very cool but uncool about MiniHDMI port, AC adapter which can charging while recording pretty, a super small battery, a unknow pin.. Looked around the official website of Canon, the iVIS HF G20’s marketing position is at the top line of the family users, and the amauter part of the Pro users. 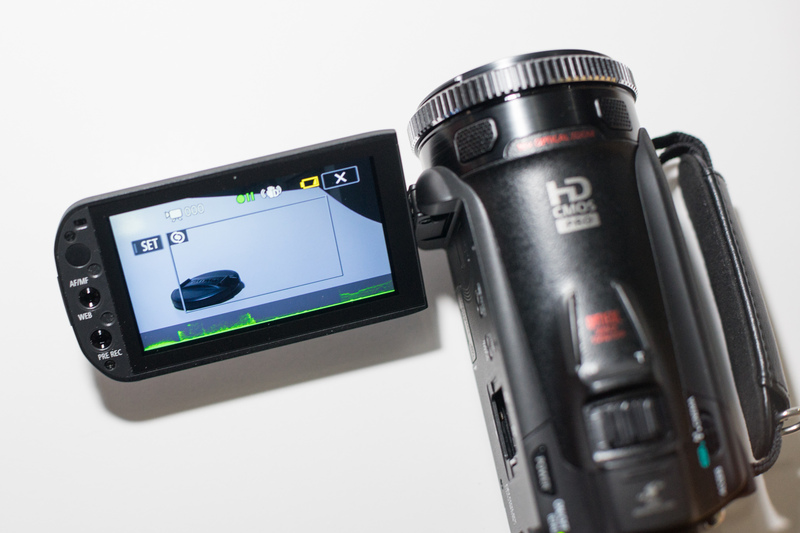 It uses some Pro camcorders’ technologies such as high sensitive image sensor and bright lens, some manual control dials as well. 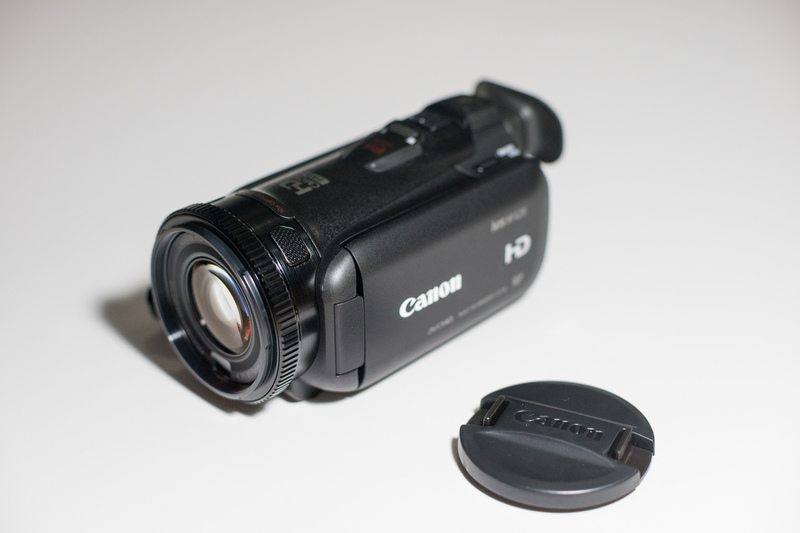 2.37 Megapixel 1/3″ CMOS sensor, Canon said it is directly copy from a Pro camcorder XF series. Focal length is 35mm Equivalent 30.4-304 (10x zoom) aperture at f/1.8 – f/2.8, very nice specification! 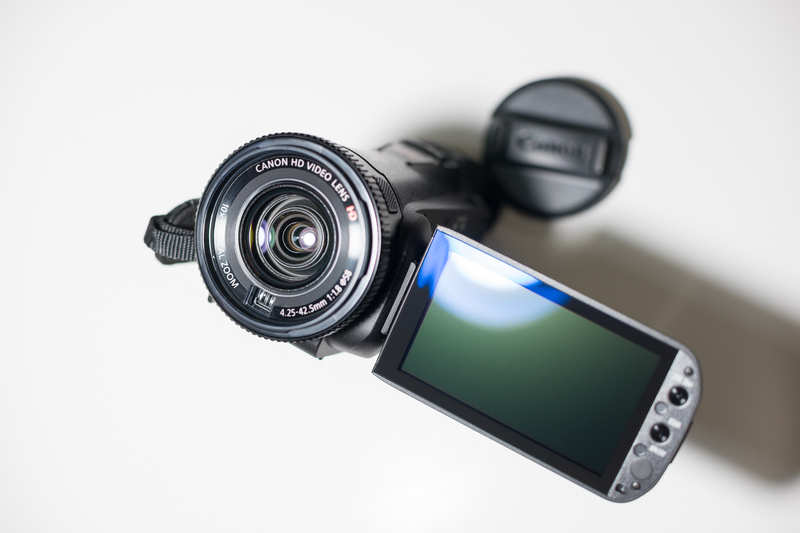 BTW, lens filter size is 58 mm, which is big for a camcorder like this. The rotation screen can flip toward front to do a selfie, the Big 3.5 inch screen has a nice resolution and obviously owns a anti-reflection coating. On the back side of the Canon iVIS HF G20, right hand side just a Rec start and stop button, the AC charging port is under it. Left hand side, a function button and a silent control dial (no pushable). 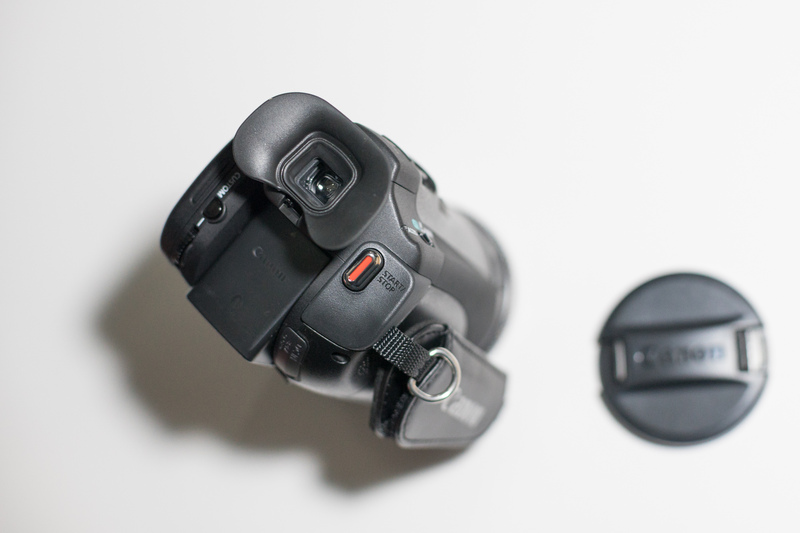 I hate the viewfinder which with a nice looking eyecap. 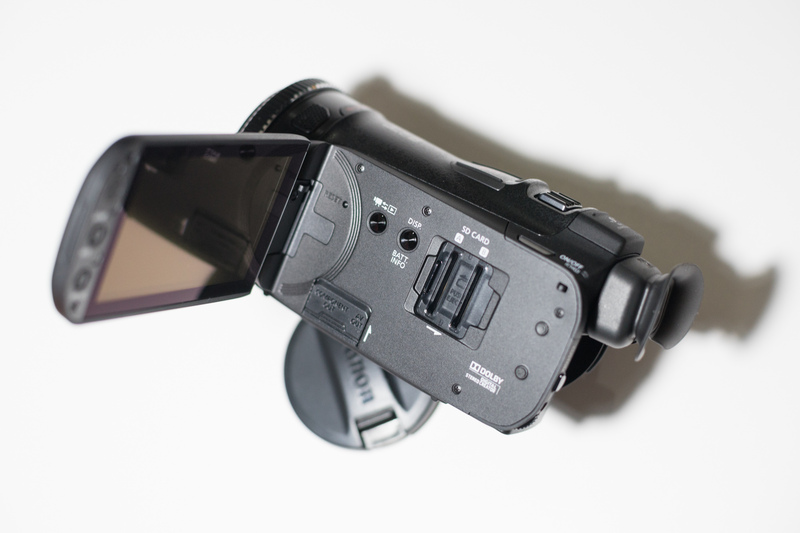 the size of the viewfinder is rubbish, totally useless, makes the big eyecap into an obstacle. Inner side of the body, a review button, display switch button, dual SD card slots, simple and just okay. 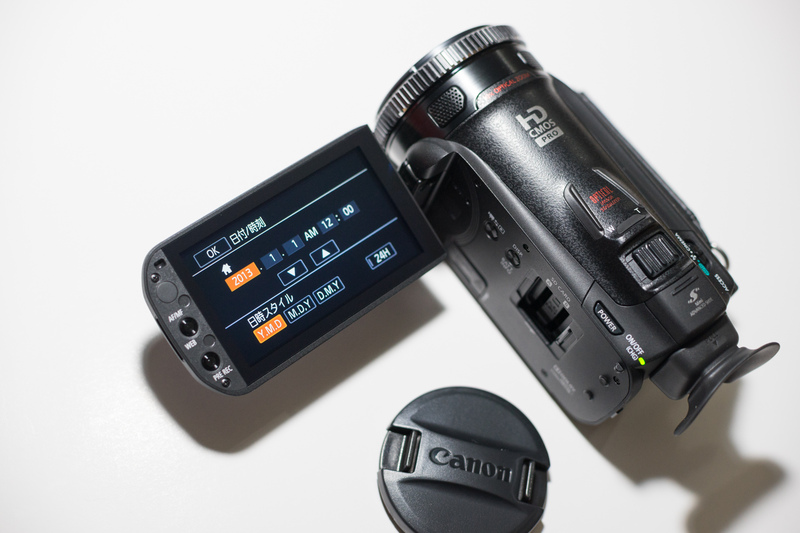 Canon iVIS HF G20 has a 32GB internal flash memory, pretty nice, plus 2 SD slots, the recording time seems only meters with the battery. Talk about the big ring dial on the lens and the mall one on the back, they both smooth, clickless, but too stick to turn, especially the front big lens ring. Bottom side, just nothing without a tripod screw. Here you can see how big the eyecap if the crap viewfinder is. Also the little battery, I bet it can not roll over 2 hours. Like I said, the screen is beautiful, a pressure touch screen with ok sensitivity. Stereo mics on the top allows the changing of directivity. And 3.5mm Mic jack, 3.5mm audio monitor jack is available. No detailed reviews of image quality here today, but I found some quite interesting functions inside the Canon iVIS HF G20, like Waveform Focusing Assistant, besides, there are peaking, zebra. 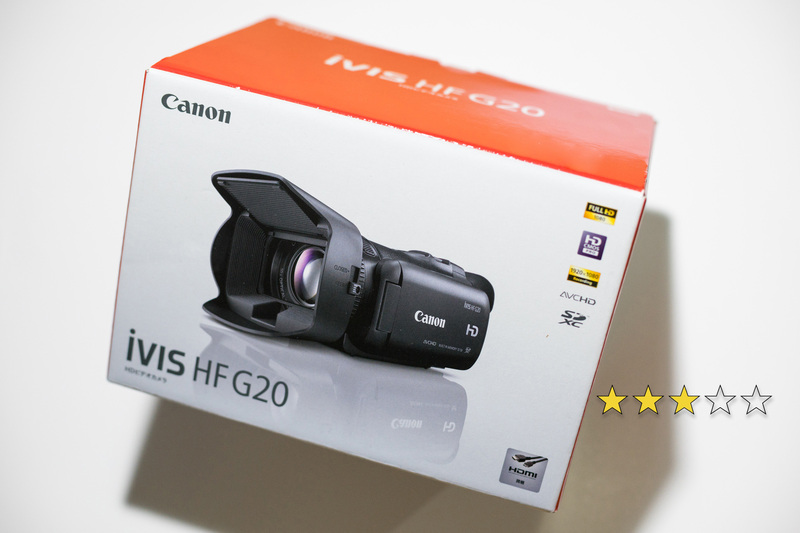 I could feel the aim that Canon has put into the iVIS HF G20, are they really usable in real life? I don’t know. By the time I handed on it, the optical image stabilizer works great. The auto focus moves quite, smooth and accurate. During manual focus zoom, I saw some zoomed image details, quite unsharp smear mopping are there, and the maximum output video is 24Mbps 1080p 30Fps. As a summary, this newly builded high performance Canon iVIS HF G20 is great for a family user who wants stable reliable video works. Its size is okay for travel, buy a bigger battery can help a lot. For who wants to make a movie style video or dramatic landscape shot, the small sensor and the poor codec output will disappoint you.